Yesterday I went to On Stage in Melbourne and had SO MUCH fun! 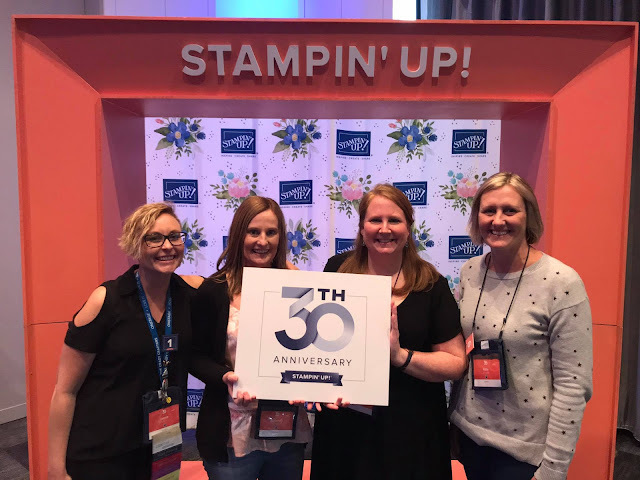 On Stage is the an event that any Stampin' Up! demonstrator can attend. It's held bi-annually in different cities all around the world on the same day which means there are literally thousands of crafters getting together on the same day to join in the fun. Here's me with a couple of my team mates and several hundred others in background! The day involves reveals of the new upcoming catalogues, crafting (of course! ), LOTS of give aways, food, great music and lots and lots of laughter. 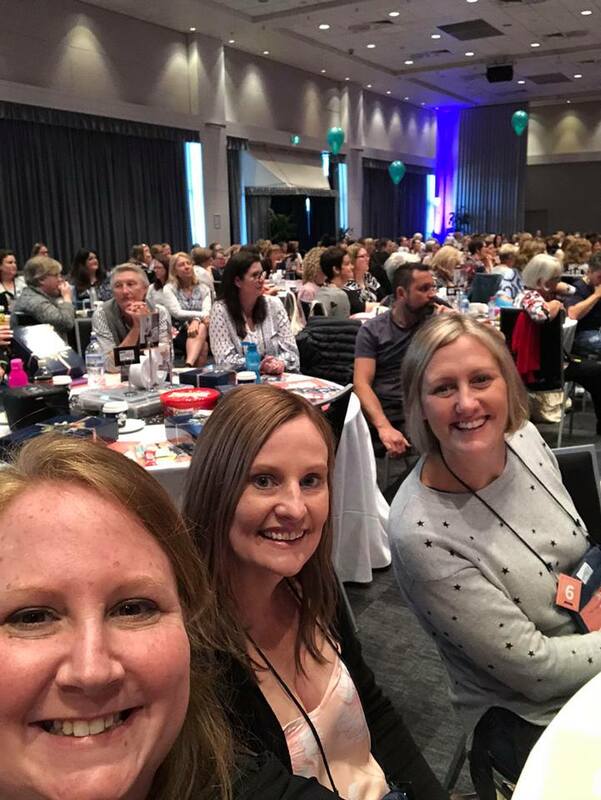 If you are a crafter in Australia and want to come along next year, send me a message to find out how you can as part of my team. 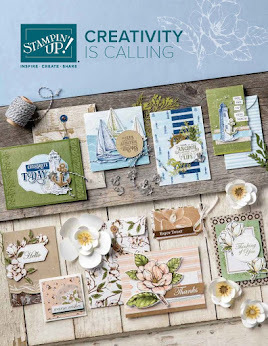 Check out my video below to take a look at all the goodies we received and to see some of the new stamp sets coming out in the Occasions Catalogue. I got so many goodies that I can't wait to share them with you! Do you follow my Facebook page? If not, head over and like the page and tune in to my Tuesday Tutorials which is when I have regular spot prizes.